UPDATE: President Rodrigo Duterte has issued Proclamation No. 6 declaring July 6, Wednesday, a non-working holiday in observance of the end of Ramadan fasting or Eid'l Fitr. The holy month of fasting and prayer, Ramadan (Ramadhan / Eid'l Fitr) started in the Philippines last June 6, 2016. Considered as the ninth month of the Islamic calendar or Hijra, it is one of the most special and highly-anticipated events among Muslims worldwide. The month of fasting and prayer culminates with the festival of Eid ul-Fitr, which takes place either 29 or 30 days after the beginning of the holy month of Ramadhan. It is expected that the End of Ramadan 2016 in the Philippines will be on or around July 6, 2016 (depending on the sight of the moon). 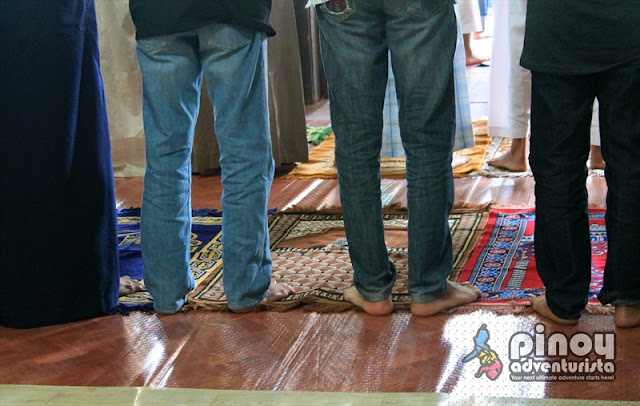 On this day, Muslims will celebrate with Eid'l Fitr - one of the two major holidays of Islam. Also known as "Eid-al-Fitr", "Wakas ng Ramadan" and "Pagtatapos ng Pag-aayuno", the government recognizes the significance of the End of Ramadan by declaring it a national public holiday in the Philippines. But unlike the other national holidays in the Philippines, the End of Ramadan or Eid’l Fitr doesn't have a specific or fixed date. It varies on the location as it is determined in accordance with the Islamic lunar calendar, or upon the sighting of a new moon by local religious leaders. According to Section 2 of Proclamation No. 1105, s. 2015, "The proclamations declaring national holidays for the observance of Eid’l Fitr and Eidul Adha shall hereafter be issued after the approximate dates of the Islamic holidays have been determined in accordance with the Islamic calendar (Hijra) or the lunar calendar, or upon Islamic astronomical calculations, whichever is possible or convenient. To this end, the National Commission on Muslim Filipinos (NCMF) shall inform the Office of the President of the actual dates on which these holidays shall respectively fall." 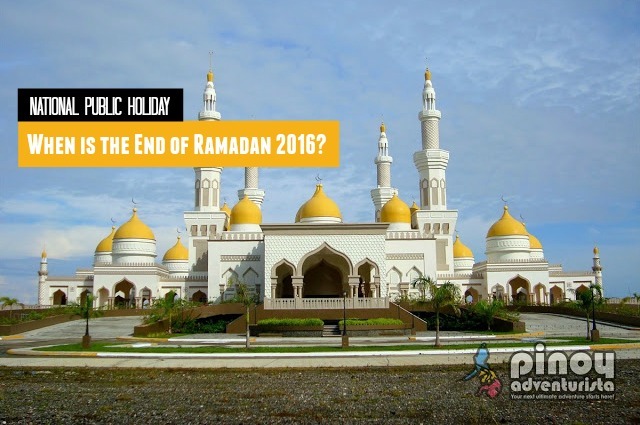 When is the End of Ramadan (Eid’l Fitr) 2016 in the Philippines? Note: This post shall be updated as soon as the government declares the national non-working holiday for the celebration of the End of Ramadan. For the list of 2016 Philippine Holidays and Long-weekend Schedule, click HERE.